July 25th visit Heartbreak Hotel for pre show drinks! The Heartbreak Hotel is a stylish LOVE and heartbreak themed pop up bar in the grounds of Southbank as part of the Love Festival. Just minutes walk from our Spiegeltent shows – Gorgeous cocktails and rather handsome staff!!! We hope to get to join Heartbreak hotel after our shows for postprandial drinks! Make sure you join us.. Lucky audience can go for a few pre show cocktails too! 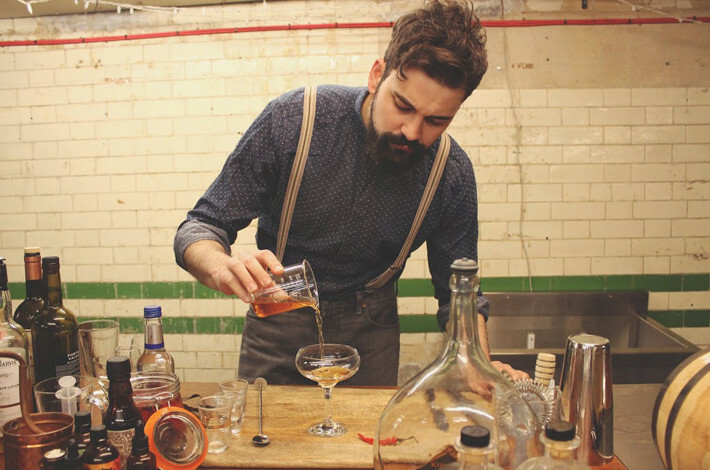 We are delighted to add two complimentary cocktails from The Department of Good Cheer (the boys behind the pop up) to our list of prizes that can be won on July 25th. Just see our Usherettes for tickets to enter the raffle and we will draw the winners before 11pm finale on the night!